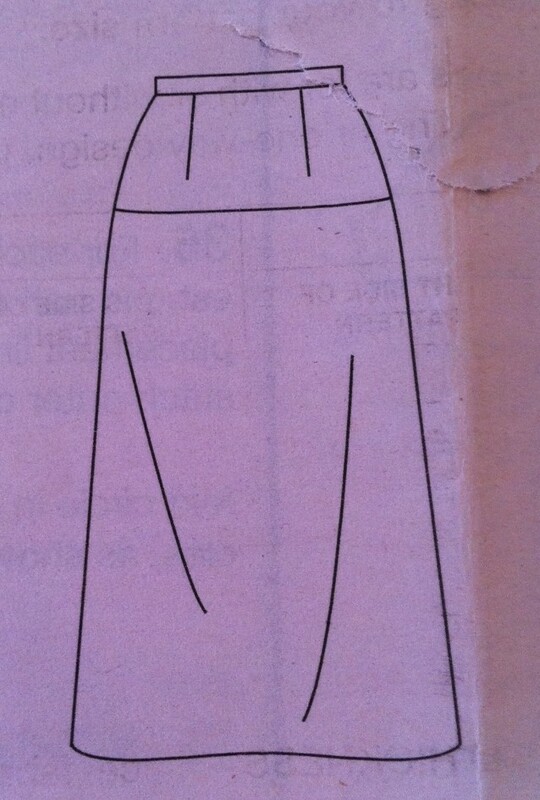 After finishing the second muslin for Vogue 1072, I have learned an important lesson: On my figure, a long yoke on a skirt looks like a maternity panel. Which led me to the following conclusion: It’s time to bail on Vogue 1072. 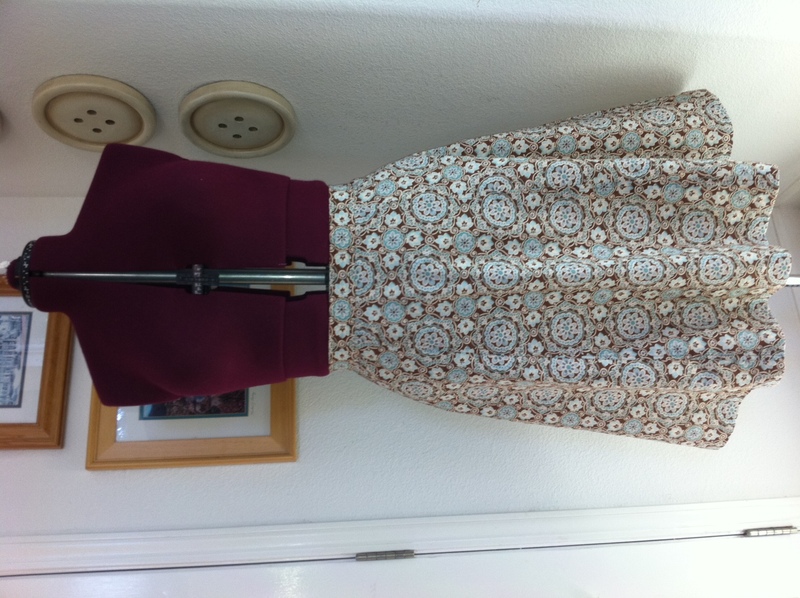 In contrast, the Simplicity 3688 skirt I most recently finished is quite flattering. It’s a true A-line that falls just below my knee. I was surprised as I worked on it to discover how well it works on my figure. The Simplicity pattern that looks good. With my straight shape, an A-line with a hem that falls at the narrowest part of my leg gives me as much of an hourglass look as I can get. The Vogue skirt, on the other hand, was only A-line enough to facilitate walking without needing a slit or vent. When it was on, it looked more like a straight skirt for someone with bigger hips than I have, not to mention a bun in the oven. So, this pattern and I are going our separate ways. I am thrilled at this point that only muslin lost its life in the attempt to make this skirt. My pretty coral cotton with white polka dots remains intact. It hasn’t even been laundered. I think I’m going to move on to the intended blouse to see how it will look with an A-line, maybe something with a contour waistband. I WILL have a snappy new skirt and top from this coral fabric. It’s just not going to involve Vogue 1072. I hear you with the maternity look. I have several patterns with yokes, skirts and capri’s, that do not work for me. I also cannot wear the current tops/dresses with empire styling, same effect. I now have 6 or 7 patterns, this season, that I will gift. I learned to never cut the good stuff when I experiment beyond my TNT styles. I bemoan the extra time, of course, but a spare the good fabric. Good luck on the next project. Empire is the worst! Some of the styles now even look bad on the young skinny girls they were made for. That’s a big part of why I’ve come back to sewing garments, so I can sew something that’s flattering and fits. It’s a process to figure out the best styles.